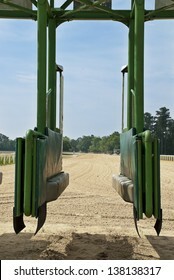 I specialize in landscape photography, particularly rural, agriculture, and Americana. 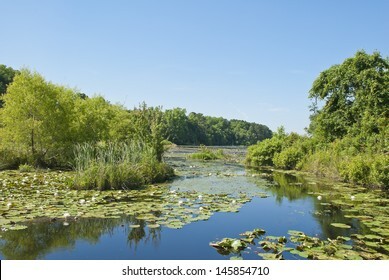 1,340 stock photos, vectors, and illustrations are available royalty-free. 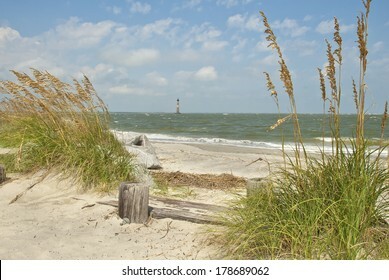 Folly Beach and the Morris Island Lighthouse , SC, built in 1876. 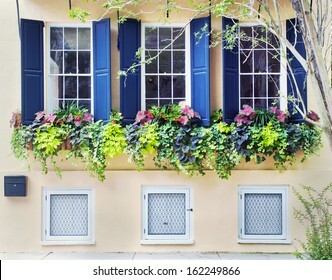 The street front of an old town house built in the seventeen hundreds in Charleston, South Carolina. 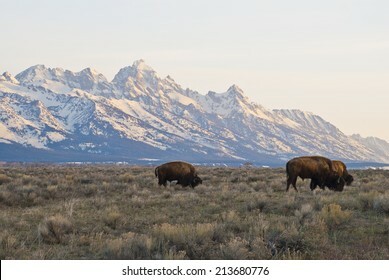 Buffalo graze in the early morning light under the towering Grand Teton Peaks near Jackson Hole, Wyoming. 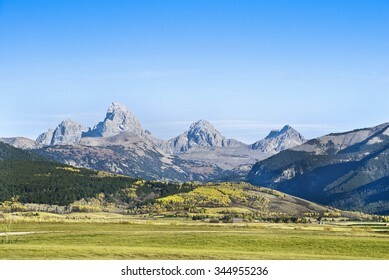 Autumn in the Grand Teton Range. 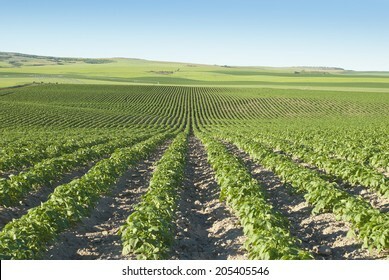 Rolling hills of fields of potatoes and grain in the Idaho High Country. 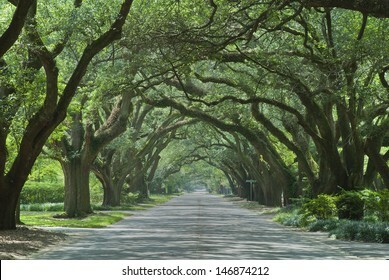 Oak canopied South Boundary Street in Aiken, South Carolina. 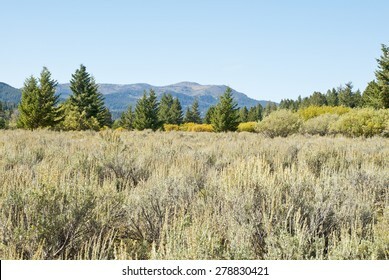 The sagebrush steppe and alpine forest of the Centennial Mountains of Idaho and Montana. 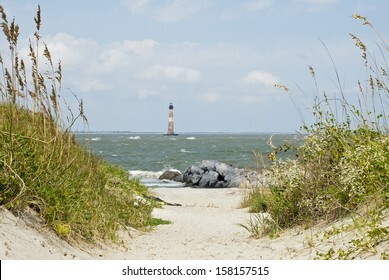 Wind and heavy surf on the Morris Island Lighthouse, built in 1876 on the South Carolina coast. 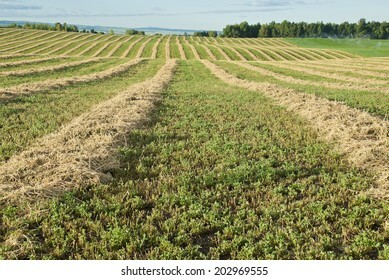 Rows of cut alfalfa cure in a hay field. 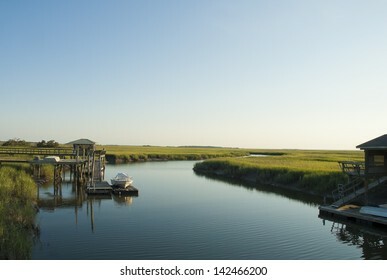 A beautiful evening on a waterway surrounding Tybee Island near Savannah Georgia. 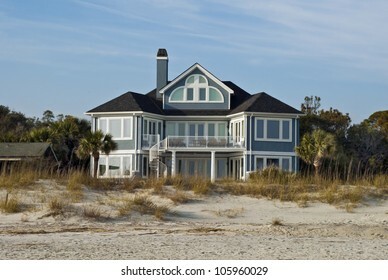 A large beach house on the Atlantic shore. 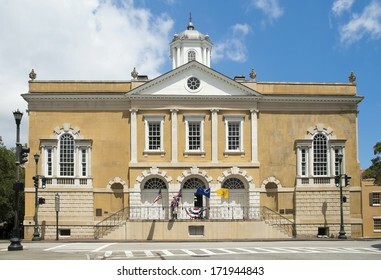 The historic Exchange and Provost Dungeon, built between 1769 and 1772, in Charleston, South Carolina. 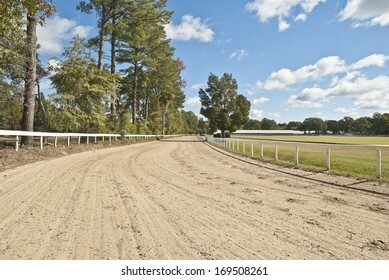 Southern pines and oaks adorn a sandy southern horse racing track and polo field. 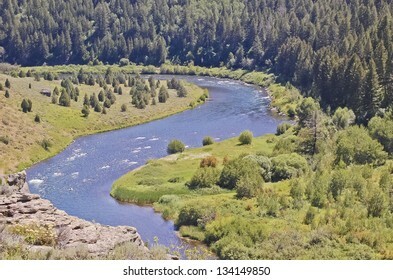 The South Fork of the Snake River. 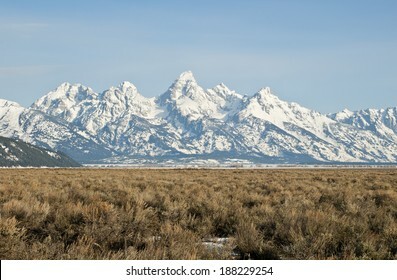 The Teton Mountain Range and sagebrush steppe of Wyoming near Jackson Hole in Spring. 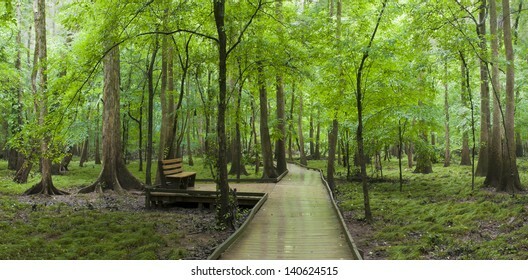 The boardwalk and a bench that runs through the cypress forest and swamp of Congaree National Park in South Carolina. 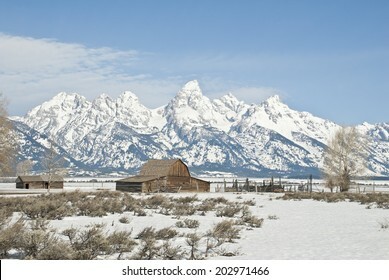 Spring on an old barn and corral stand on a Wyoming ranch with the Teton Peaks towering in the background. 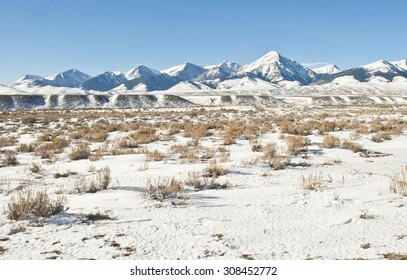 Winter snow covers Diamond Peak, the Lemhi Mountains and Valley. 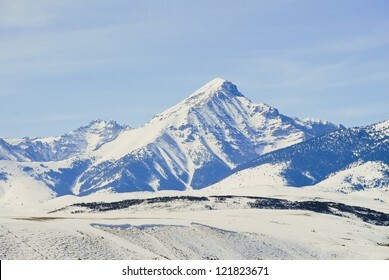 Diamond Peak in the Lemhi Mountain Range of Idaho. 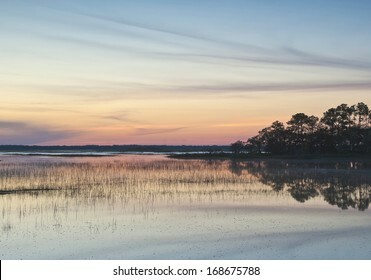 A brilliant sunset over the Atlantic Intracoastal Waterway from Hunting Island, South Carolina. 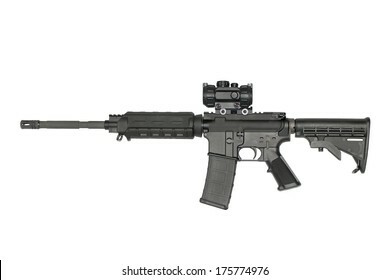 An AR-15 semi-automatic rifle, with optic, isolated on white. 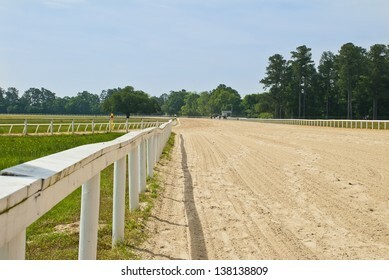 A sandy southern horse race track. 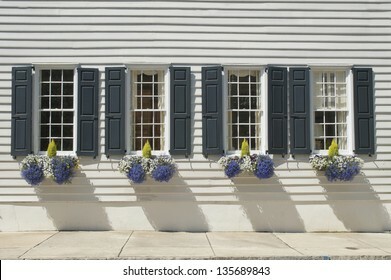 Shuttered windows decorated with flowers and plants in the wall of an eighteenth century house. 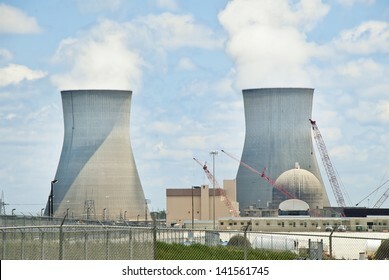 WAYNESBORO, GEORGIA - JUNE 6: Steam flows from the huge 548 foot cooling towers, that stand over the reactor at Vogtle Electric Generating Plant. 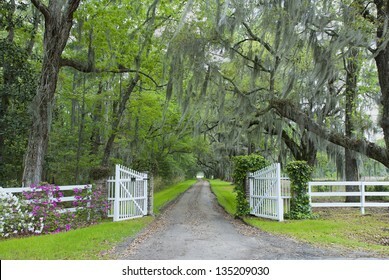 June 6, 2013 near Waynesboro, Georgia. 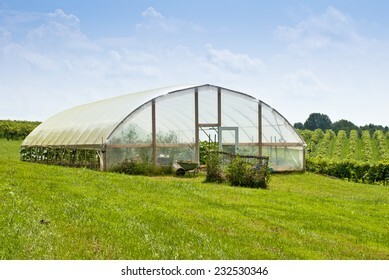 A greenhouse or nursery at a wine vineyard. 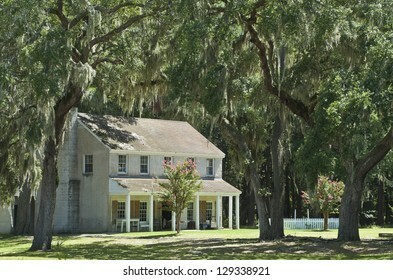 The officer's quarters at the Civil War Era Fort McAllister, built in the early 1800's near Savannah, Georgia. 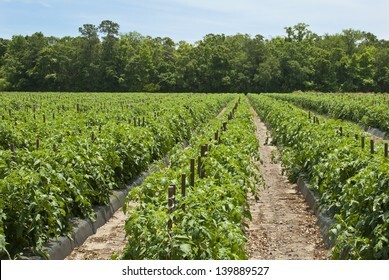 A field of rows of tomato plants on a farm in the Low Country of South Carolina. 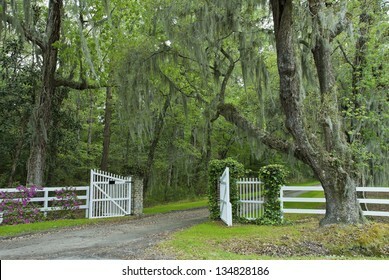 The oak canopy and gated entrance to a southern plantation in the Carolinas. 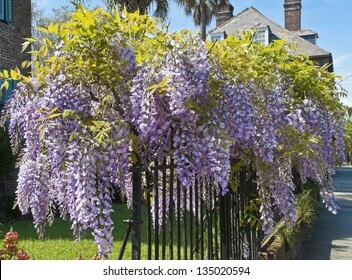 Wisteria clings to an iron grate fence in Old Town Charleston. 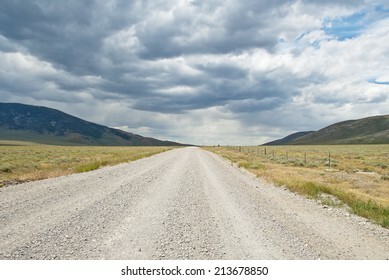 A gravel road runs through a valley in Rocky Mountains of the Western United States under dark storm clouds. 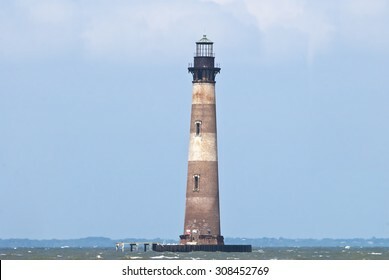 The Morris Island Lighthouse, Folly Beach, SC, built in 1876. 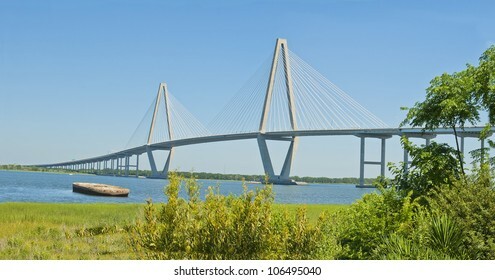 The Port of Charleston, a cable stayed bridge, an abandoned barge, and the Cooper River in Charleston, South Carolina. 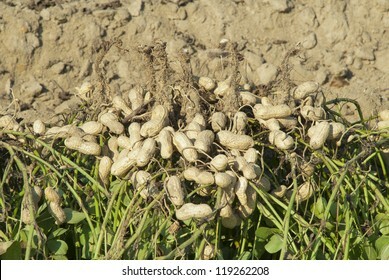 Freshly dug, or turned, peanuts cling to the roots of their plants as they dry in the sun. 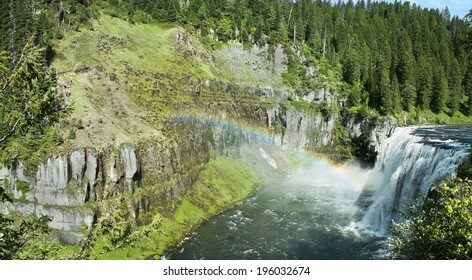 The upper Mesa Falls on the Henry's Fork of the Snake River in Idaho. 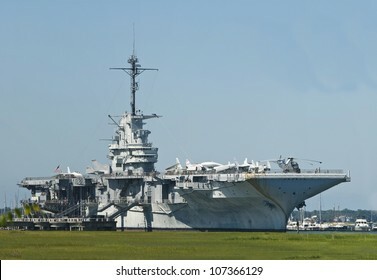 The Yorktown Museum at Patriot's Point in Charleston Harbor, South Carolina. 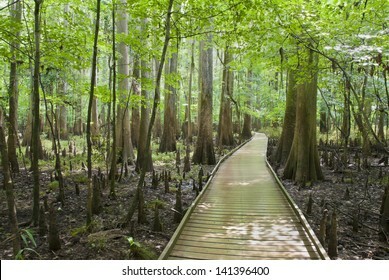 A boardwalk through the cypress forest, swamp, and knees of Congaree National Park in South Carolina. 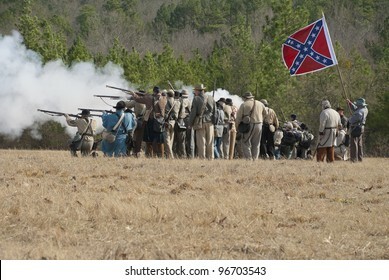 Re-enactors form a skirmish line and fire muskets and rifles. 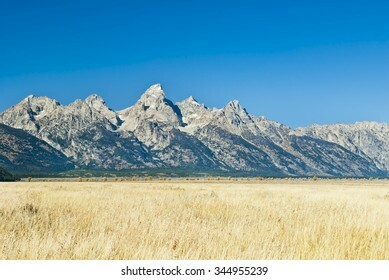 The Teton Peaks and grassy sagebrush steppe of Wyoming near Jackson Hole in Autumn. 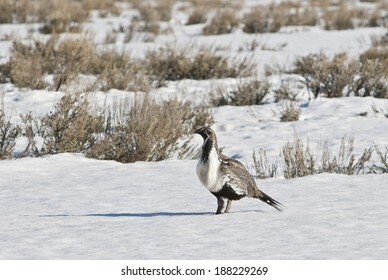 A Sage Grouse (Centrocercus urophasianus) on the sagebrush steppe of the Northwest United States, in the early spring. 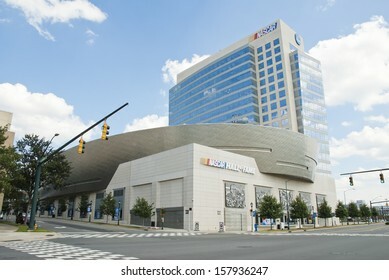 CHARLOTTE - SEPTEMBER 13: The Bank of America Plaza rises above the intersection of East Trade Street and South Tryon Street in Charlotte, September 13, 2013. 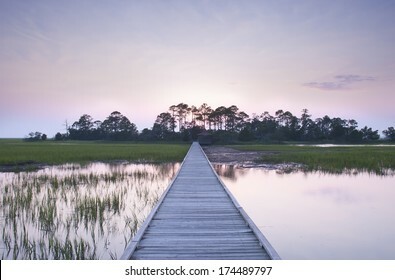 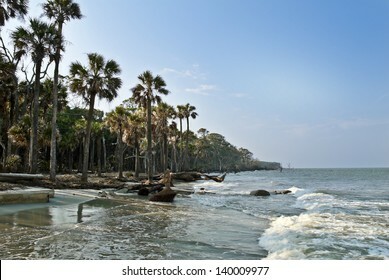 High tide at sunset on Hunting Island, South Carolina. 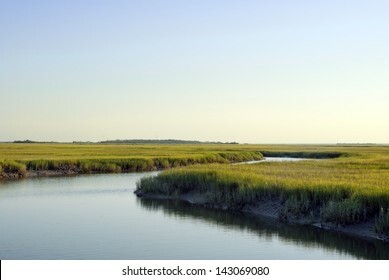 The Atlantic Intra - Coastal Waterway at Beaufort, Lady Island, Port Royal, and Parris Island, South Carolina. 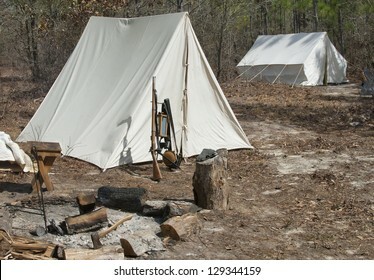 A Civil War Era Infantry Encampment in the woods. 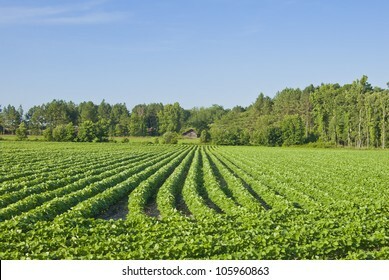 A field of early cotton plants. 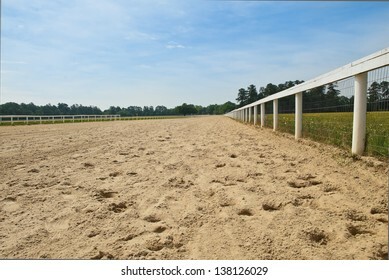 A sandy horse track with starting gates at a southern race track. 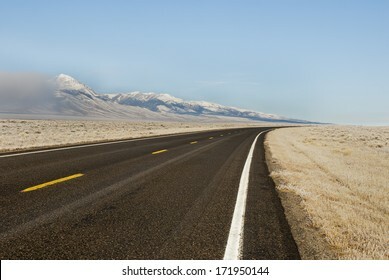 A winter landscape of a highway running through the Lemhi Valley along the Lemhi Mountain Range in Central Idaho. 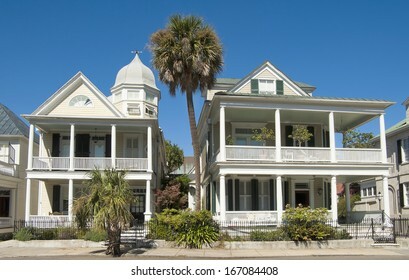 Victorian style houses built in the nineteenth century on Bay Street in Charleston, South Carolina. 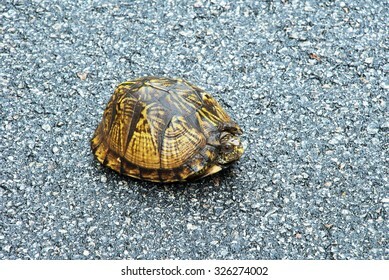 A shiny, wet, yellow South Carolina Box Turtle (Terrapene carolina) retreats into its shell on a rainy highway. 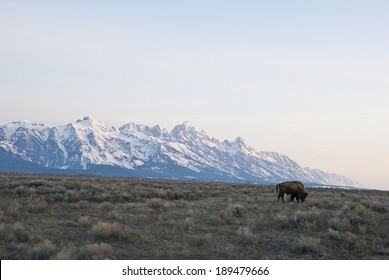 A buffalo grazes in the early morning light under the towering Grand Teton Peaks near Jackson Hole, Wyoming. 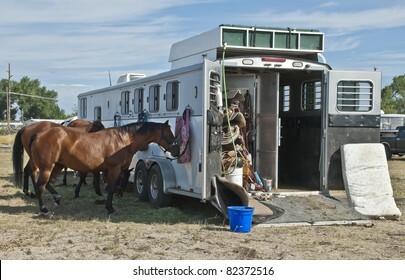 Horses and a horse-trailer at the rodeo. 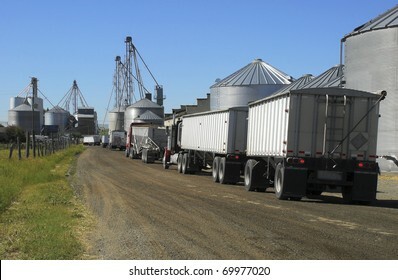 Semi trucks line up to haul grain from the silos. 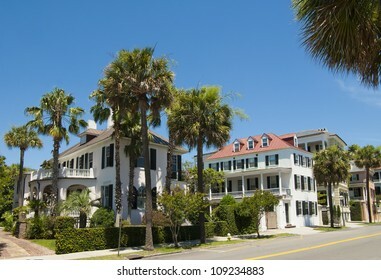 A Battery Victorian House style of architecture in Charleston, South Carolina. 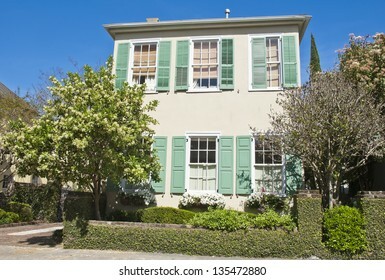 A town house from the early 1800's in Old Town Charleston, South Carolina. 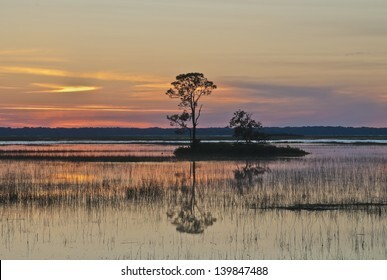 The sun sets over the salt marsh off Hunting Island, South Carolina. 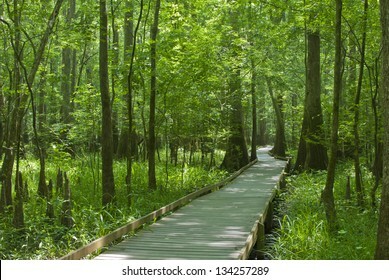 A boardwalk at Congaree Swamp National Park. 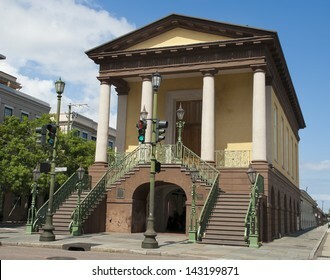 The historic Charleston City Market, established in 1807, in Charleston, South Carolina. 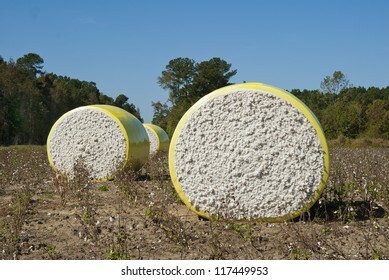 Round bales of freshly harvested cotton wrapped in plastic and waiting in the field. 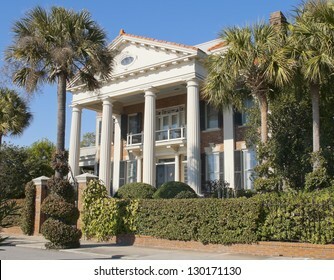 Unique colonial era houses on Battery Street, built in the eighteenth century, in Charleston, South Carolina. 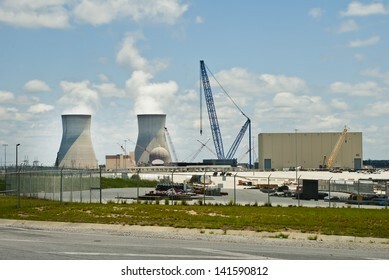 WAYNESBORO, GEORGIA - JUNE 6: White steam flows from the huge, 548 foot, cooling towers at Vogtle Electric Generating Plant. 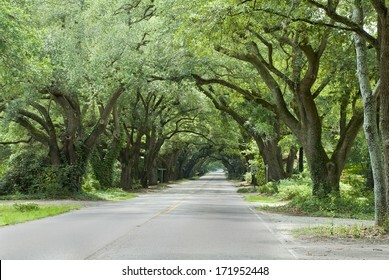 June 6, 2013 near Waynesboro, Georgia. 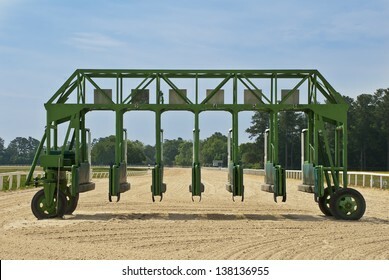 The starting gate of a sandy southern horse track. 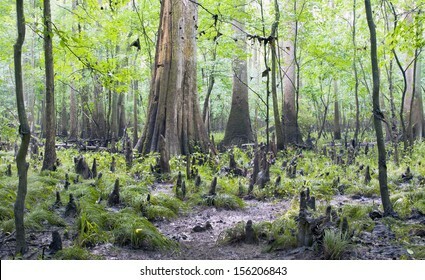 A rainy and misty day in the Cypress Swamp of Congaree National Park. 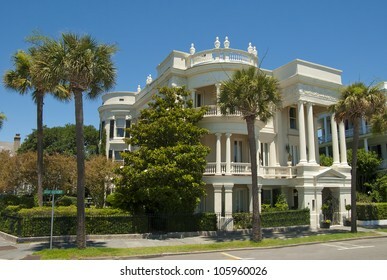 A Battery Romanesque - Victorian House style of architecture built in the eighteenth century in Charleston, South Carolina. 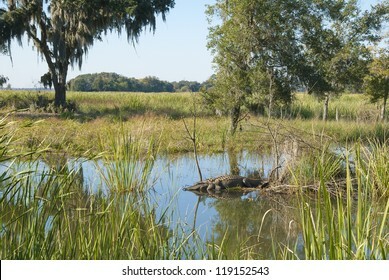 A vista with sleeping alligator at the Savannah National Wildlife Refuge in South Carolina. 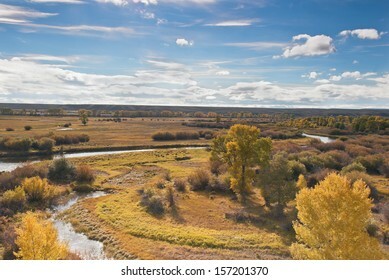 Late evening and Fall colors on the foliage decorate the New Fork River near Pinedale Wyoming. 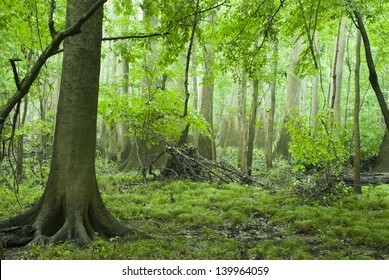 A rainy and misty day in the cypress forest and swamp of Congaree National Park in South Carolina. 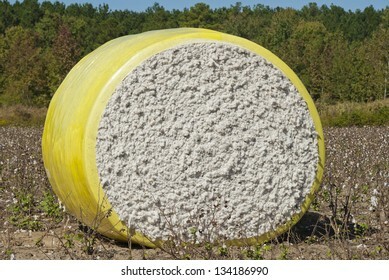 A round bale of freshly harvested cotton wrapped in plastic and waiting in the field. 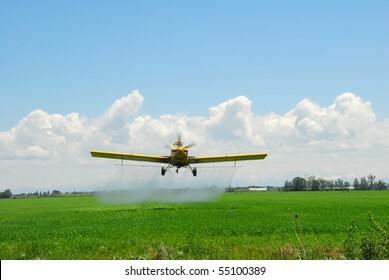 A spray plane flies over a farm and fields on the High Desert of Idaho. 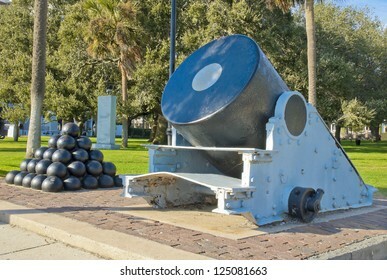 A 13 inch civil war mortar on the Charleston Battery. 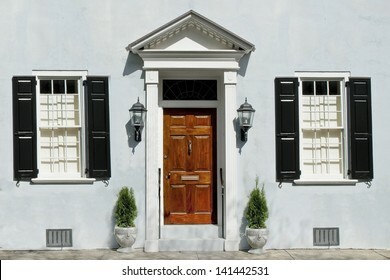 The front door of a romanesque style house, built in the eighteenth century in Old Town Charleston, South Carolina. 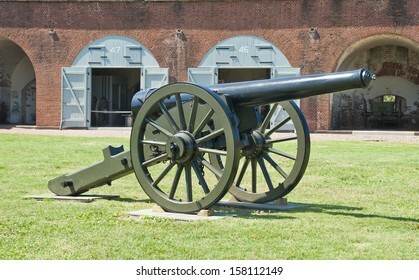 A cannon on the parade ground of Fort Pulaski National Monument in Savannah Georgia. 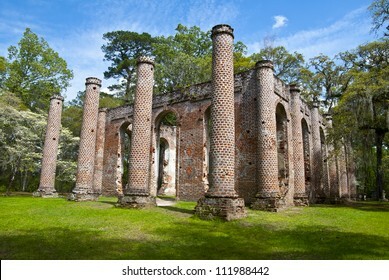 The ruins of Sheldon Church built in 1745 near Beaufort South Carolina. 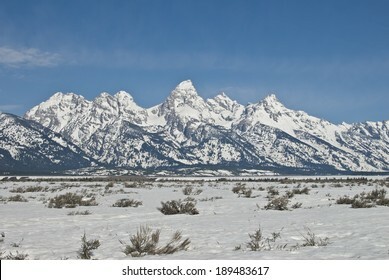 The Teton Peaks and sagebrush steppe of Wyoming near Jackson Hole in Spring. 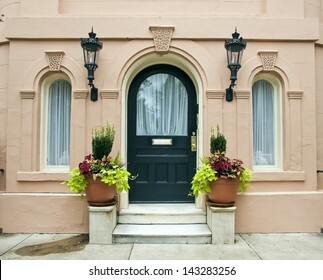 The ornate features of an entrance to a historical pink house, built in the late seventeen hundreds, in Charleston, South Carolina. 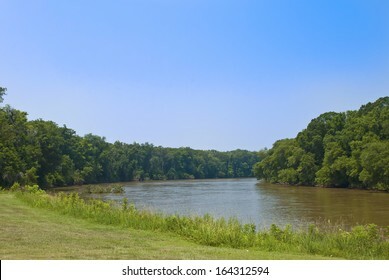 Looking downstream from the banks of the muddy Savannah River between Georgia and South Carolina. 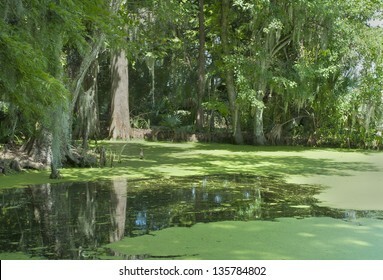 A pond in a southern cypress swamp in the deep south. 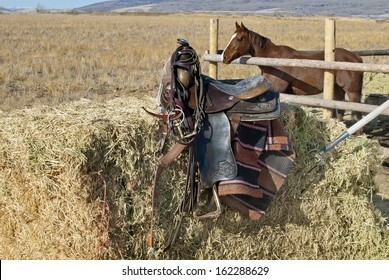 An old saddle and tack on a hay bale with a horse in a corral in the background on a western High Desert ranch in the Rocky Mountains. 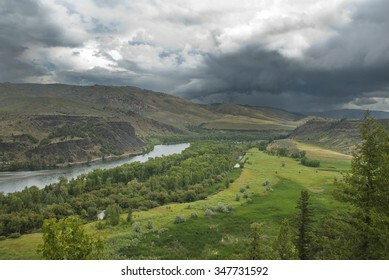 The Salmon River in Central Idaho. 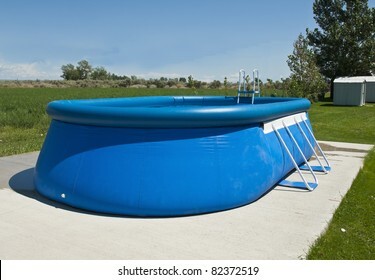 An above ground pool sets on a concrete pad in the backyard on a sunny summer day. 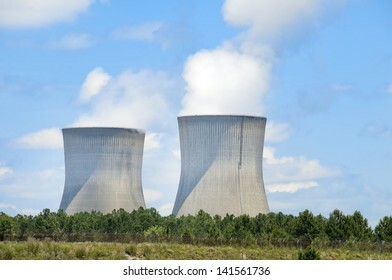 WAYNESBORO, GEORGIA - JUNE 6: White steam flows from the huge, 548 foot, cooling towers, that rise over the reactor at Vogtle Electric Generating Plant. 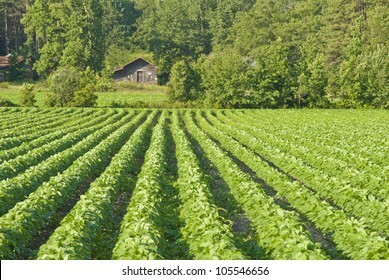 June 6, 2013 near Waynesboro, Georgia. 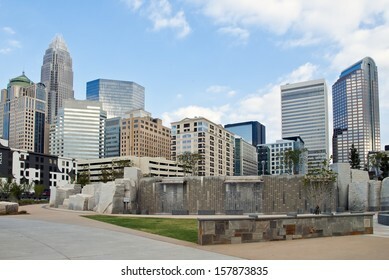 CHARLOTTE - SEPTEMBER 24: The Charlotte city skyline September 24, 2013. 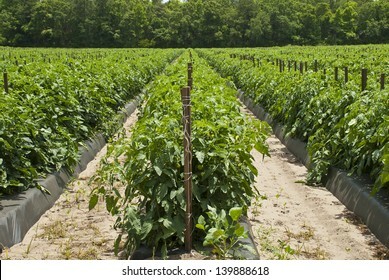 Charlotte is a major U.S. financial center, the second largest financial center by assets following New York City. 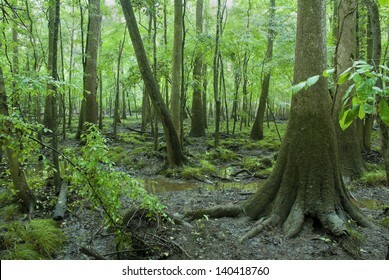 The swampy cypress forest of Congaree National Park in South Carolina on a rainy day. 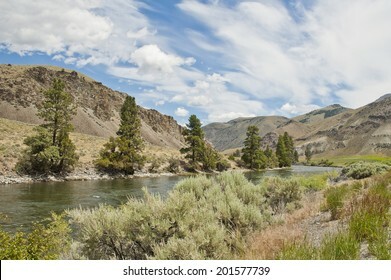 An sunny day on an s-turn in the Upper Snake River in Idaho. 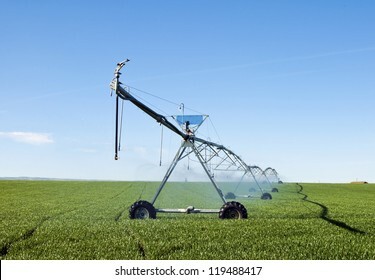 A pivot irrigation system watering a field of grain. 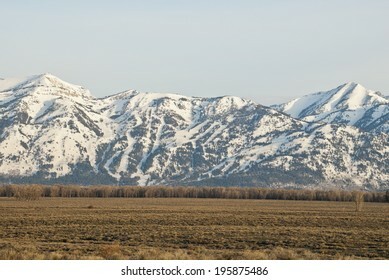 The early morning Spring light bathes the Teton Village Ski resort near Jackson Hole, Wyoming. 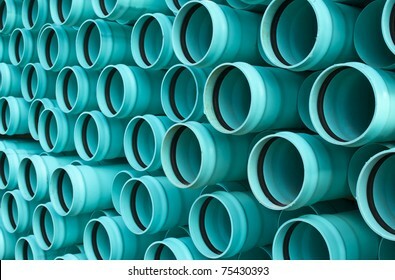 Water pipe stacked in a bundle. 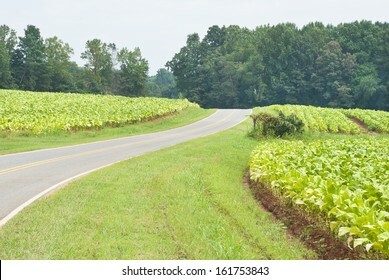 A county road winds through the red dirt fields and rows of green tobacco plants on a rainy day, in the North Carolina farm country. 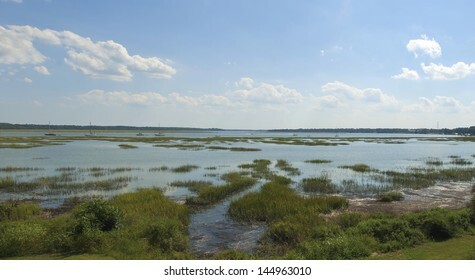 A beautiful clear morning on a southern lake. 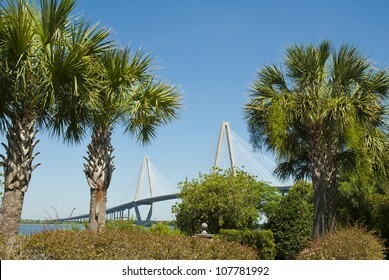 Charleston Harbor and the Palmetto State of South Carolina. 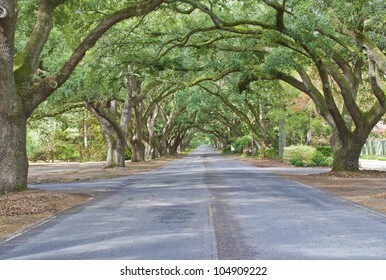 A living archway of oaks lines South Boundary Drive in Aiken, South Carolina. 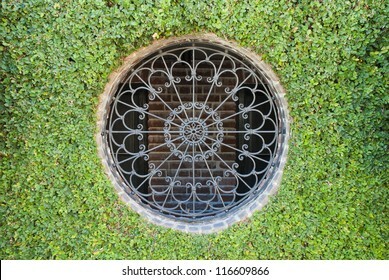 An ivy covered wall around a circular window of iron work and brick. 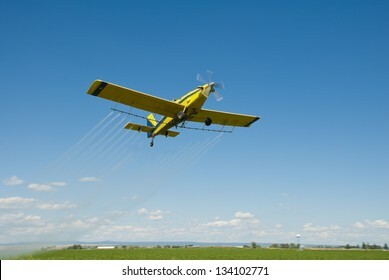 A crop duster applies chemicals to a field. 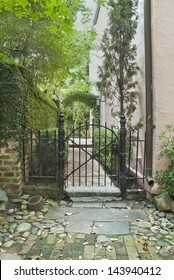 The ornate iron Gate and side entrance to an eighteenth century private garden and residence in a cobblestone and brick paved alley in Charleston, South Carolina. 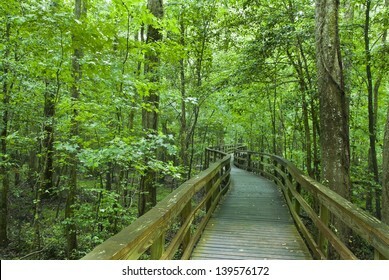 A boardwalk through the lush greenery of the Congaree National Park in South Carolina.